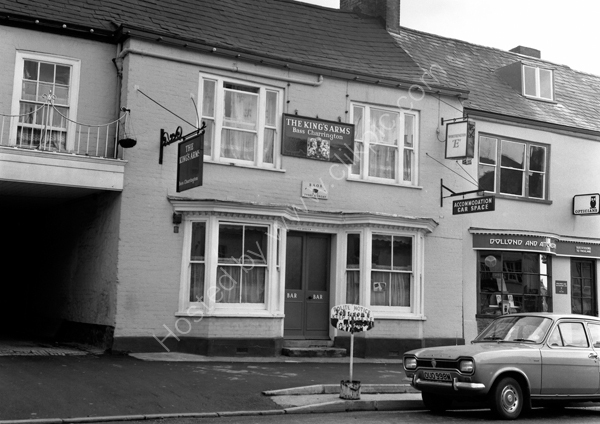 Clive Thompson LRPS Photography: Kings Arms, High Street, Honiton around 1974. No longer a pub. Kings Arms, High Street, Honiton around 1974. No longer a pub. Kings Arms 56 High Street Honiton, Devon EX14 1PQ around 1974 before closure. Visited in 2012 this was found to be a ladies clothes shop called Retail Therapy. For commercial use of this photograph please visit www.alamy.com and search for A5JY70 but for a one off print, please see below.